China, officially the People’s Republic of China (PRC), is a unitary one-party sovereign state in East Asia and the world’s most populous country, with a population of around 1.404 billion. Background – China was founded as a distinct and original nation in 1368. China emerged as one of the world’s earliest civilizations. China is a member of the WTO and is the world’s largest trading power. China currently has the largest number of active cell phones of any country in the world. China has a density of 140 people per square kilometre. 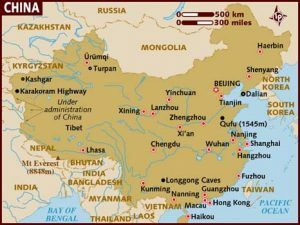 Geography – Located in the continent of Asia, China covers 9,569,901 square kilometres of land and 27,060 square kilometres of water, making it the 4th largest nation in the world with a total area of 9,596,961 square kilometres. Climate – Owing to tremendous differences in latitude, longitude, and altitude, the climate of China is extremely diverse. As it is an Asian country, the climate is not very much different from that of India. Country Code – Dialing code for the country is 86. Distance – Distance from China to India is 2,984 kilometres. This air travel distance is equal to 1,854 miles. The flight usually takes 5-6 hours to reach China from India. Borders Sharing – China shares land borders with 16 countries: Kazakhstan, Russia, North Korea, India, Mongolia, Burma, Vietnam, Hong Kong, Macao, Lao People’s Democratic Republic, Afghanistan, Kyrgyzstan, Nepal, Bhutan, Pakistan and Tajikistan. Indian Culture in China – The Indian Embassy has been organizing the Festival of India in China over the years. There is a growing awareness about India’s ancient civilization, its religions, languages and culture in Chinese universities. 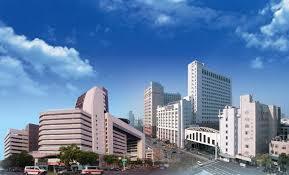 According to statistics, China has become one of the most popular destinations for medical study in recent years. Last year, more than 10,000 students came to China to study medicine. As medical science is developing every day, teaching methodology and system in Chinese medical schools are also keeping its pace with the fast development. 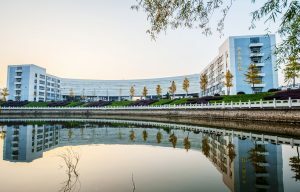 After several years’ learning and research, a certain amount of these Chinese medical schools has come up with a brand-new teaching system which is quite unique and creative. All of China’s universities which are approved to enroll international students for English medium MBBS must meet minimum standards set by the Ministry of Education. Education in China is much more affordable and cheaper than other countries. The universities in China are governed by the Chinese government only so their fees and quality of study are inversely propionates. Below is a simple table of cost comparison of studying MBBS in China, USA, UK, India and Pakistan. Fees are estimated by RMB per academic year. above fees are according to the average fees standard. The comparison is only for students’ reference. Universities are UNESCO / WHO authorized, which means students who graduated from these medical schools are eligible to attend national medical screening tests such as MCI, PMDC, USMLE, PLAB, HPCSA, SCHS, etc. The English copy of the degree will state MBBS (Bachelor of Medicine and Bachelor of Surgery). This degree certificate is recognized worldwide. China provides ample employment opportunities as China is the world’s largest growing economy. It has world-class infrastructure and facilities. 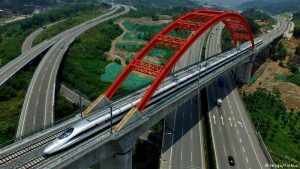 China is a developed country, unlike India which is a developing country. China respects Indian culture as both shares Buddhist and Tibetan culture. Chinese people are friendly and they are living in harmony with people of different religions from centuries. China is undoubtedly a very beautiful country which offers astonishing scenic views. There are Indian temples as well. China is one of the leading nations around the globe for medical studies. 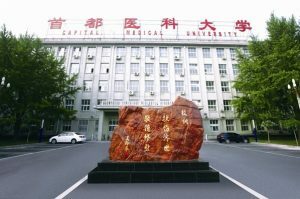 Most of China’s medical universities are highly reputed for being at the forefront of the field of modern medicine and ranked among the top 500 universities in the world. Learning the Chinese language can be very serviceable as it the most spoken language over the world. The world trade is now shifting from west to east, so learning this language will be beneficial in the long run. More than 260,000 international students are enrolled in China’s universities and colleges each year, making it one of the most popular places to study as an international student. Regarded as both a representative of an ancient and mysterious culture and a vibrant new economy, China has something for everyone. There are world-class hospitals for internships. You don’t have to worry about finding the internship! Each and every university has its hospitals of more than 5000 beds. The students an also undertake their internship and practised under these hospitals. China’s internship is valid in India. Even you can do your internship in India also, there are such proclamations in Chinese Medical University to do your internship in India after studying there. The affiliated hospital where students undertake internships must be with the tier of Grade III, Level A, which have the most advanced international-standard medical instruments and also lots of patient beds. As well all know, China has the largest population in the world. Therefore, th e medical market of China is developing at a rapid speed and becoming one of the world’s largest medical markets. Compared with some universities or colleges in the US, UK, Europe, India and Pakistan, it is not so hard to get admission by a top rank China’s university to study MBBS. 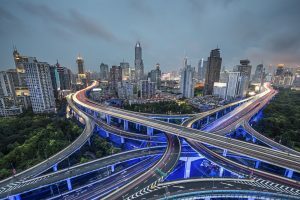 By choosing China, you can avoid the burden of fierce competition or heavy application pressure. However, relatively low admission requirements do not mean that you should worry about education quality. Approved Chinese medical schools all offer high quality on MBBS program, faculty and facilities are really worth the tuition. List of Colleges/ Universities approved by MOE, China for admitting international students for MBBS, academic course 2018-2019 for teaching in English Medium. Why DA for MBBS in China? 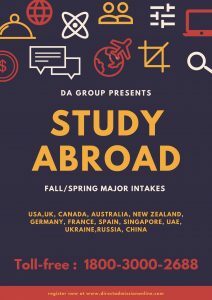 DA is one the leading consultancy for abroad admissions. We are working since 2009 in this field, our experience will help you getting in your dream university. We provide you with complete counseling and admission guidance. We have a multi-level chain working with vast-network in different cities all over India. We provide you the provisional offer letter from the University for You in advance to make the necessary arrangements. We provide you the complete Visa Assista nce through our Visa preparation kit. We handle all your admission process from filling the application form, hostel/ accommodation till your landing in China and far more. We will assist you with the FMGE coaching classes throughout the year by our Indian teachers. We are providing you with Indian mess in China. We will assist you for medical fitness in China. We have our representative at China to provide you with 24*7 assistance. 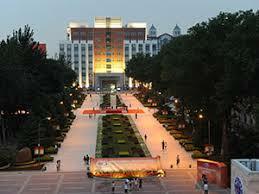 We will provide you with the arrangements of transport from Beijing Airport to the particular university. We will assist you in getting a scholarship from the university with the rules applicable for Indian students. Our team will assist you with opening your bank account in China. We have proper arrangements to provide you with the facility of money exchange in China.